The rib cage is one of the largest bone groups in the human body. 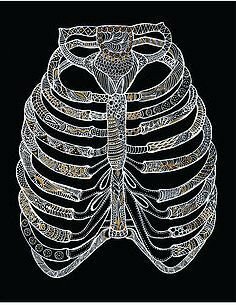 These bones serve as protection for the heart and the lungs. Rib bones are quite fragile and can be easily broken.